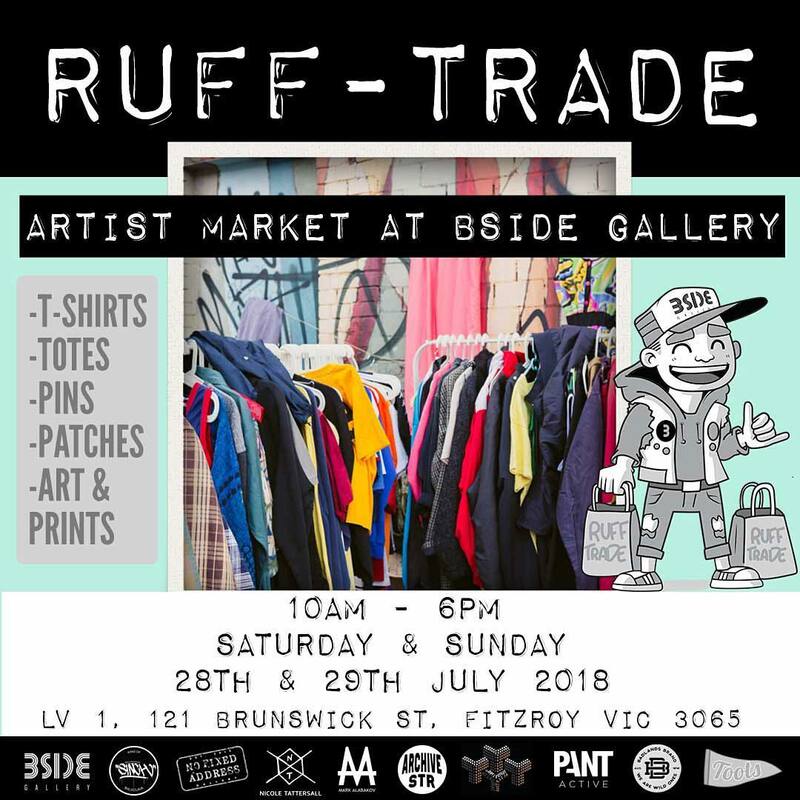 Ruff Trade is an artist and streetwear market featuring original art, prints, t-shirts, totes, pins, patches, streetwear, activewear and homewares from a selection of creators and resellers. The market is being run over the last weekend of July, 10am - 6pm daily! The weekend long market will be a great opportunity for the people of Melbourne to grab a unique item (or two) of Melbourne's cultural scene. I'll be there on the Saturday ONLY, with a selection of artworks, prints and photographs that I have currently in storage. This is the first time in a long time that I will be showcasing and selling a large selection of my work. I hope to see you there!